Welcome to the final installment of featured designer kits. 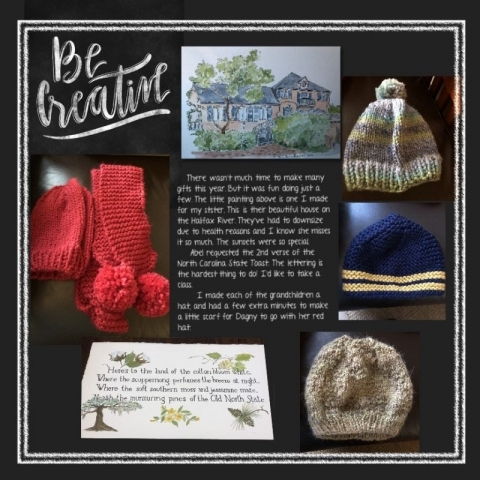 You will color yourself happy when you get your hands on these kits. Click the images below to go directly to the FOREVER Store to see a full preview of each kit and add it to your cart. Remember, all digital art is 25% off through February 13, 2019. Make sure to use the code FOREVERFIT when you check out. Post a page in the pixels2Pages Community using one of these kits for your chance to win a digital art kit. 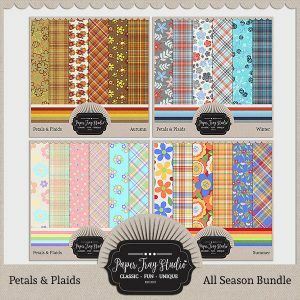 Paper Tray Studio: Petals Plaids Seasons Bundle. Petals & Plaids is a fun new collection from Paper Tray Studio that celebrates the seasonal colors with exactly what it says…petals and plaids! Each pack includes 3 floral papers, 3 plaid papers and 6 coordinating solids. 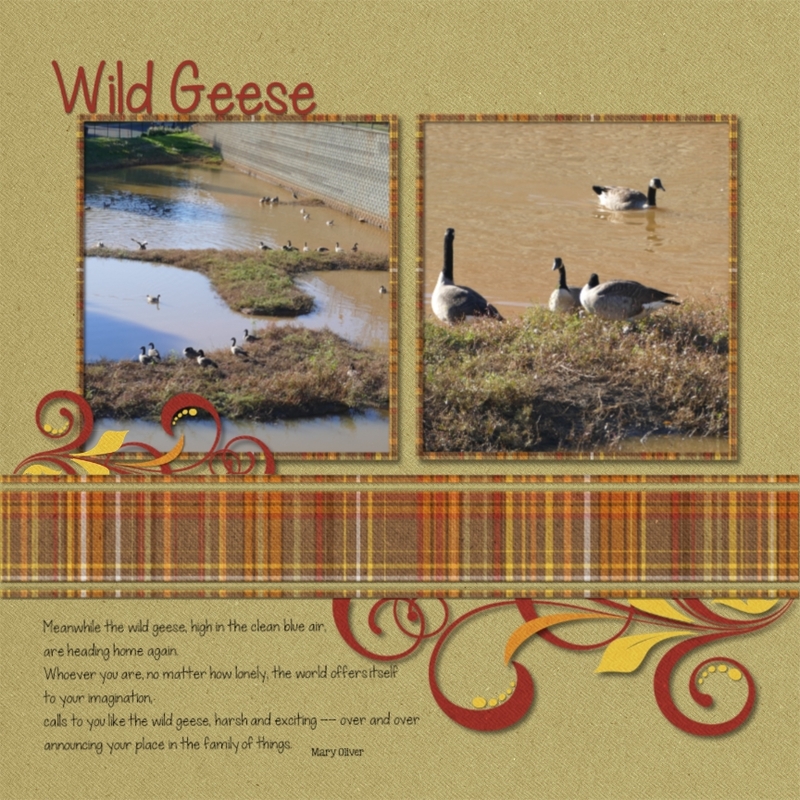 This purchase is for the Petals & Plaids Season Bundle – it includes all 4 season paper packs! 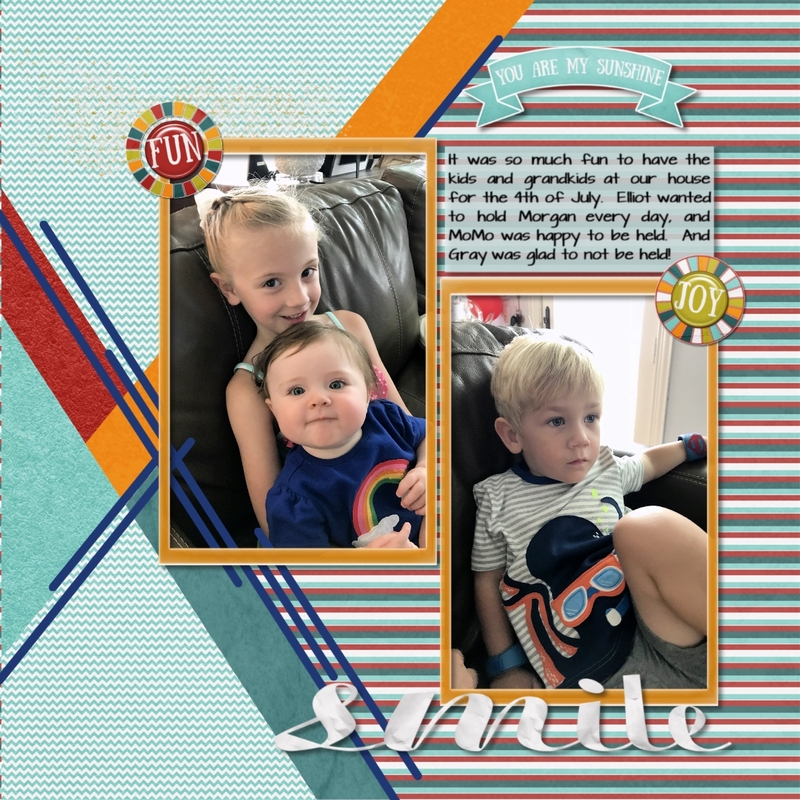 Click Collage: My Year – January Card Kit Bundle. My Year January chalkboard cards are great to use as inspirational prompts for Day2Day projects, wonderful as greeting cards, and add fun accents to all your pages. 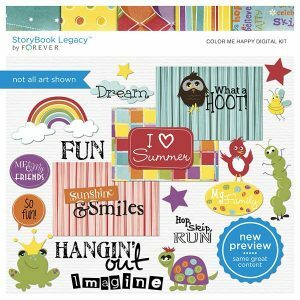 Easily colorized with Artisan’s threshold or colorize filters, these pre-designed embellishments will keep you scrapping all year long with inspiration on every card. 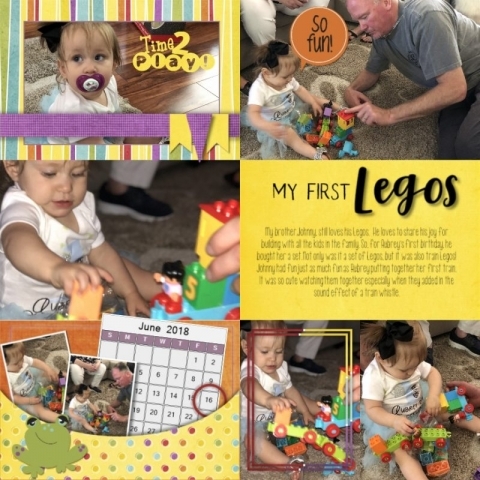 Developed by Forever, the ClickCollage system is designed for quick and easy page layouts. Seatrout Scraps: Brighten My Day. Brighten up someone’s day with this inspirational kit that can bring them joy and happiness. 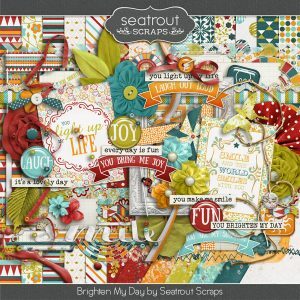 A Bright and colorful kit to celebrate those in our lives that make everyday a delight. 14 Patterned Papers, 6 Solid Papers, and 71 elements. 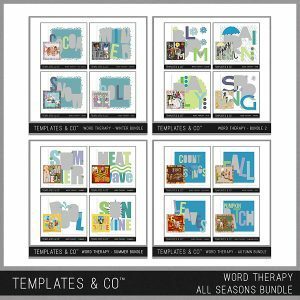 Templates & Co: Word Therapy – All Seasons Bundle. Bundle includes: Word Therapy Bundle 2, Word Therapy – Summer Bundle, Word Therapy Autumn Bundle, and Word Therapy Winter Bundle. 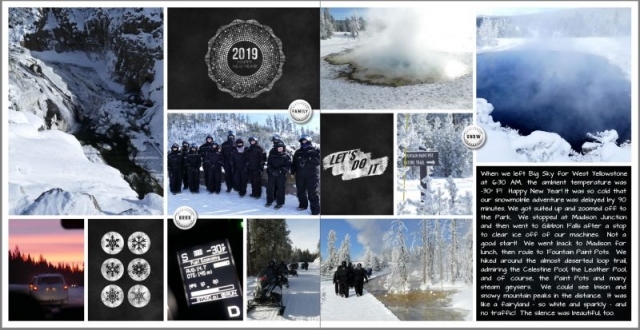 Fun 12×12 (or 8×8) templates that are quick and easy to use by Templates & Co. Simply add your papers and pull your photos into the live photo spots and you are ready to go! 16, 12 x 12 templates. Post your page in the pixels2Pages Community Facebook Group and engage with the rest of the community. Feel free to also add your layout to our FOREVER Collaborative Album, even if you posted to the pixesl2Pages Community. CLICK HERE to collect your badges for using these kits.